Recipe for Homemade Pumpkin Spice: 4 teaspoons Cinnamon, 2 teaspoons Ground Ginger, 1 teaspoon Ground Cloves, 1/2 teaspoon Ground Nutmeg. Mix together and store in a spice jar. Stir together the Oats, Pecans and shredded Coconut. In a mixing bowl, whisk together the EVOO, Maple Syrup, Vanilla Extract, Pumpkin Pie Spice, Cinnamon, and Salt until combined. Pour the wet ingredients over the dry ingredients and mix together until fully incorporated. Spread the mixture onto a baking sheet covered with parchment paper, make an even layer. Bake for 20 minutes, then remove from the oven and stir. Return to the oven for an additional 15-20 minutes. 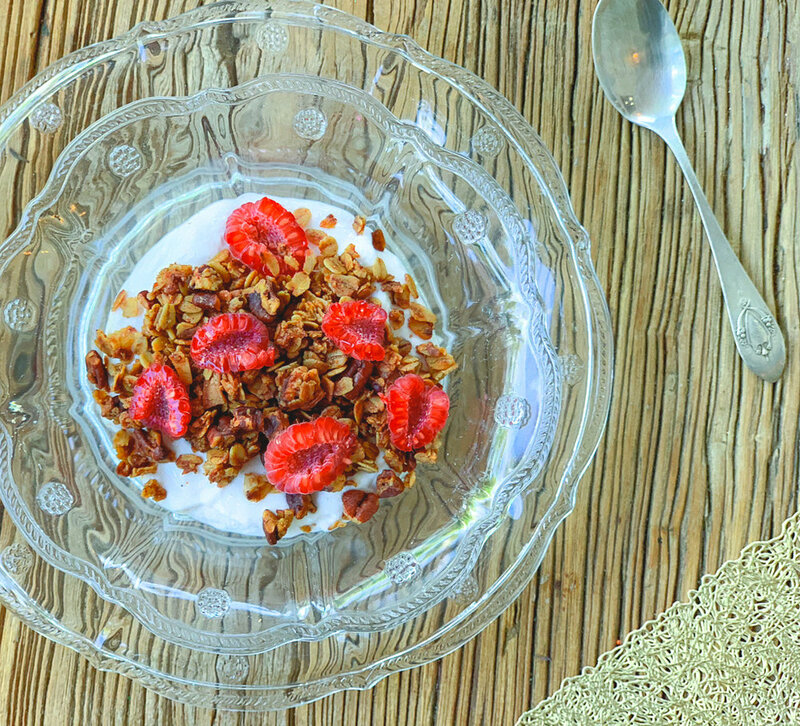 Allow the Granola to cool, store in an airtight container. 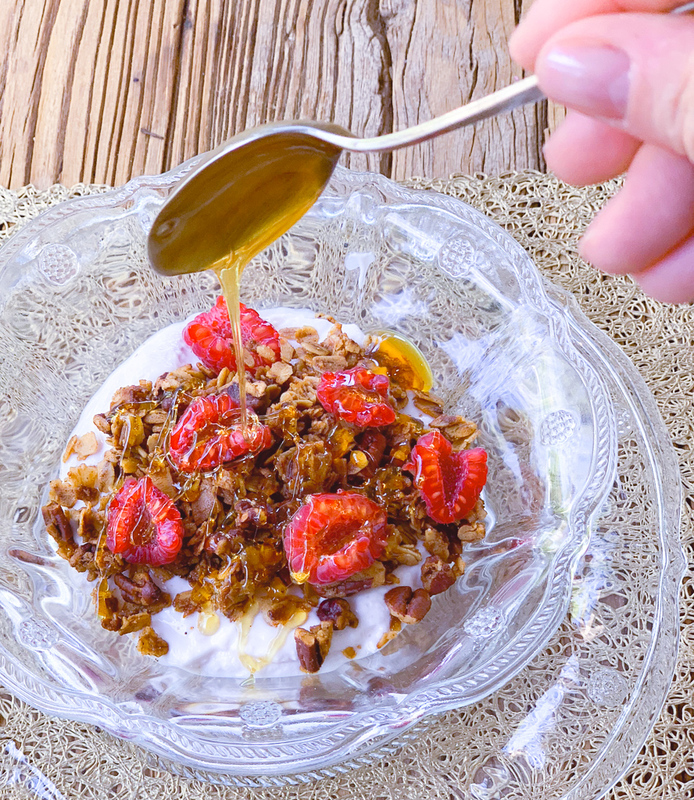 Serve over yogurt with berries, drizzle with honey and enjoy.